Hailing from the Republic of Panama, Joanne I. Nachio knows firsthand the great importance of maritime law, as maritime transport and shipping quite literally changed the fate and landscape of her home country. She now works as an Associate Attorney with McAlpin Conroy with a focus on maritime litigation. Ms. Nachio pursued her education at Dartmouth College, a study abroad program at the University of Glasgow, the University of Notre Dame Law School, and St. John’s University School of Law. At Notre Dame, Ms. Nachio served as the Executive Managing Editor of the Notre Dame Journal of International & Comparative Law. Prior to joining the firm, Ms. Nachio developed legal expertise in a diverse set of industries that include intercollegiate athletics, education, international sports, and food and beverage. 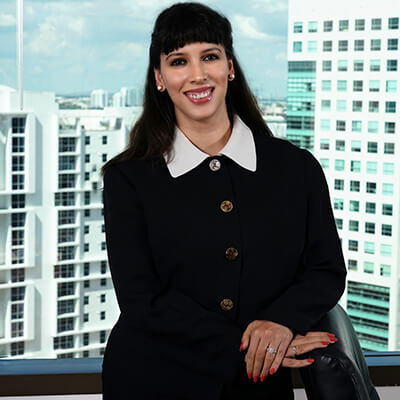 She credits her passion and interest in law to her earliest legal experience, an internship at the top shipping and admiralty litigation and ship finance and registration firm in Panama.